Avicii will spin Saturday, but that's just one reason the crowds will be feeling the energy at Ultra this weekend. Welcome to the most wonderful week in the world of electronic dance music. The place to be is Miami, where the pools glisten like glow sticks. The Winter Music Conference is highlighted by Ultra, one of the biggest music festivals in the world. Held at Bayfront Park in downtown Miami, Ultra is a three-day marathon of house, techno, trance, progressive, dubstep and ‘trouse,’ featuring the most famous DJs and premieres of the most massive tracks. There will be parties before and after the shows at some of Miami Beach’s sexiest clubs – Mansion, Fontainebleu and Liv, to name a few. DJs will spin until sunrise, as fans beg for one more song. The 2012 installation sold out in record fashion, and for good reason. Ultra is a sensation for your senses. The people are as beautiful as the music. You will be blinded by the lights. You will be encased in clouds of smoke. Your ears will be ringing like no tomorrow. Feel the energy. Feel the Heineken draft on your upper lip. Feel the sweat drip down your inner thigh. Dance like you never have before. Your cell phone won’t work, but you won’t need it. Turn off your brain and turn on your heart. Below are the must-see acts of 2012, encompassing a variety of styles and tastes from mainstream to bizarre. There are countless names I have regretfully left off this list. Make sure to download all of these tracks. Afrojack – He finds time to produce his classic Dirty Dutch style while dating Paris Hilton. He will be chugging Grey Goose. One memorable quote from Ultra 2011 on the microphone: “I just jizzed my pants…but this is Ultra, so who gives a f*ck?” Key Tracks: “Can’t Stop me Now,” “Lunar” (ft. David Guetta), “No Beef” (ft. Steve Aoki). 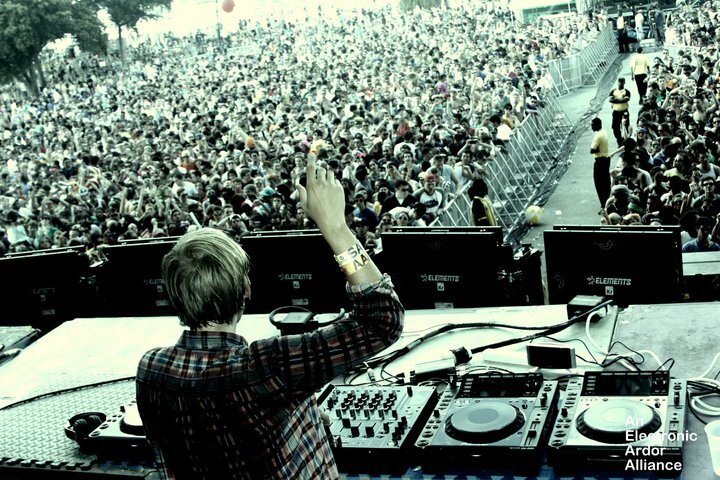 Avicii – 2011 was his year. I saw him four times. Wasn’t enough. Expect even bigger things in 2012. Key Tracks: “F*ck School Party Instead,” “Dancing in my Head,” “Fade into Darkness” (ft. Eric Turner). Steve Aoki – One of the best performers I’ve ever seen. He will be jumping onto river rafts, throwing birthday cakes at you and spitting out champagne onto the crowd. And you will love it. Key Tracks: “Ladi Dadi” (ft. Winter Gordon), “Tornado” (ft. Tiesto).